British country house hotel group Exclusive Hotels and Venues certainly think so with the launch of their SEASON Cookery School – but then again they do already have one of the country’s leading spas in their portfolio at Pennyhill Park. 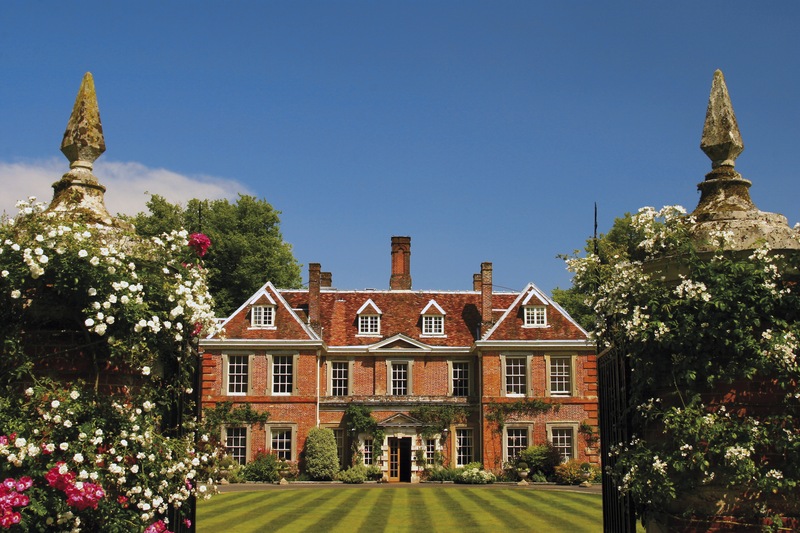 SEASON launched in June 2015 within the impressive grounds of Exclusive’s Lainston House Hotel near Winchester, Hampshire. It becomes the third five star hotel to offer a cookery school in an idyllic location, joining the ranks of Lucknam Park in Wiltshire and Le Manoir aux Quat’Saison in Oxfordshire. The cookery schools form an integral part of the guest experiences for individuals and also for corporates looking at team initiatives and training. 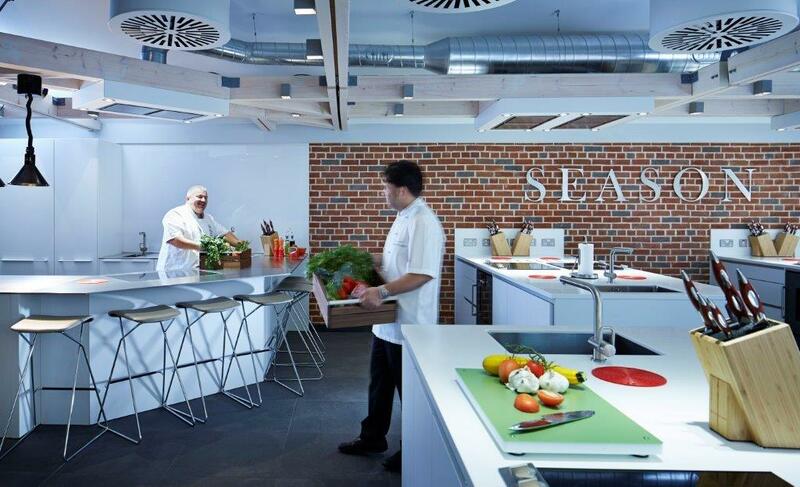 The school features an enviable state-of-the-art kitchen area with six double sided workstations incorporating the latest Gaggenau equipment and Bulthaup kitchen furniture. All this within a 17th century oak-beamed Grade II listed well house in the 63 acre grounds and next to the hotel’s extensive walled kitchen garden which supplies much of its fruits, vegetables and herbs. Perfect for novices to confident cooks looking to hone their skills, it adds yet another reason for food enthusiast to make a trip to the hotels. Varied classes are available such as Italian cooking, bread making, vegetarian dishes, perfect pizzas, chocolate masterclasses, jams, marmalades and chutneys, knife skills. the art of Charcuterie and many more. There is something to suit everybody and all served up by various award-winning chef experts and TV favourites. 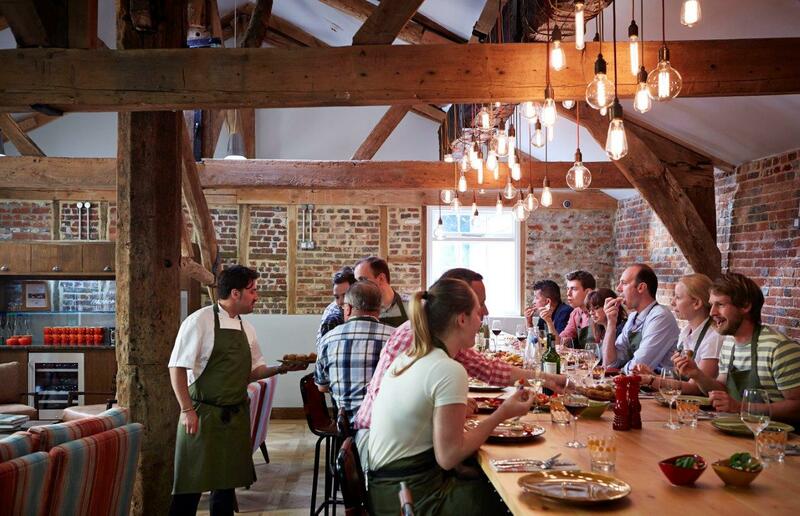 Just be aware of the cookery school ‘hangover’ – wanting to reach for the cheque book to redesign you own kitchen once you’ve experienced the best! The cost of a cookery day is relatively the same as a spa day. Enjoy full and half day cookery courses (and stay overnight for a real treat) at SEASON at Lainston House where classes are available from as little as £75 for a half day and from £155 per person for a full day. Little wonder then of the growing trend to buy or gift an experience day where the cook can forever impart their new skills thereafter. EXCLUSIVE OFFER TO LUXURY RESTAURANT GUIDE MEMBERS. Hurry! 25% discount of all classes for members if you book before 30th April 2016. Born and raised in Saint-Emilion in the Bordeaux area of southern France, Sylvain is the perfect host and tutor for this exciting class. You will learn how to cook a number of classic French dishes, learning about where each dish stems from as the day progresses – where the dishes originated and who created each one. Sylvain will also expertly guide you through which wines best matches each dish. Sylvain’s course will be a full day starting from 9:30am including lunch made by your very own hands! We aim to conclude the day by 4:30pm and still have some goodies to take home and share with family and friends! Peel and slice the onions finely, peel and mince the garlic with some salt, slice the sage finely. Pre-heat the pan with the butter, add the onion and garlic and cook for few minutes, until soft and golden. Then add the sage into the pan and cook for an extra minute. Add the flour to the pan and mix well together. Now add the red wine and reduce by half. Add the chicken bouillon and bring to the boil then reduce to simmer for 1 hour. Slice the baguette and grate the comte cheese, put the cheese on top of the bread and put in the oven until the bread is crispy and the cheese is melted. When your soup is ready serve in bowls and put the crouton with cheese at the top. Not a member? Why not treat yourself or a loved one to a year of dining in luxury for just £95.00 – click here to find out more.